Elmhurst is delighted to announce that from Sunday 3rd February the central EPC Register for Scotland implemented an ‘Expired Report’ watermark to out of date EPCs, something that Elmhurst has been requesting for a number of years. The welcome change should make it clear to professionals in the property sector, such as conveyancers, estate agents, letting agents, landlords etc that an EPC created over 10 years ago is no longer legally valid. Whenever an out of date EPC is obtained from the register it will have the watermark indicated on each page (as shown below). Stuart Fairlie Technical Director of Elmhurst Energy: “I am very pleased that a process is in place to ensure that legally invalid EPCs are clearly identified. Elmhurst has long campaigned that old EPCs are no longer particularly useful documents, as homes are very likely to have changed over time, the fuel prices and carbon emissions have certainly changed dramatically. 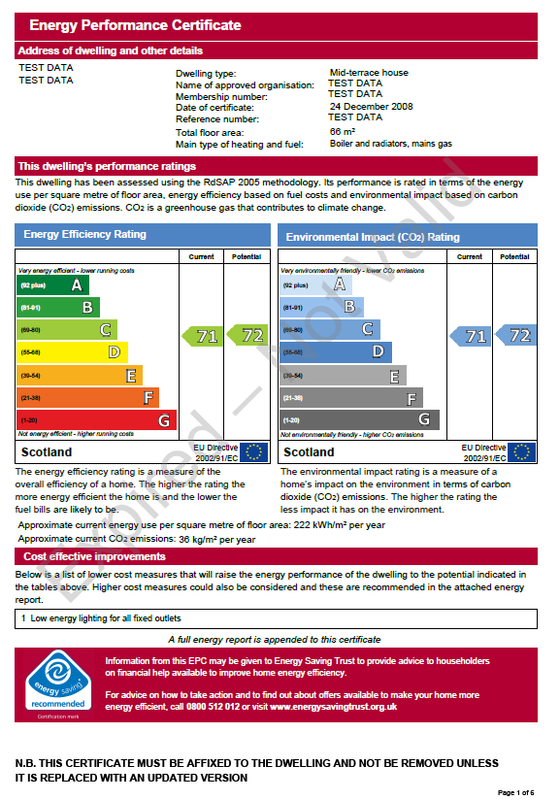 If potential home owners or tenants are using an old EPC then it is certainly misleading, and de-values the vital information that a current EPC contains.